But some have warned that the embracing of activists could be more about optics than a shift in political power, and that the bulk of decision making will still reside with the political strategy firms that have long been influential in electoral politics. Ms. Harris’s campaign, for example, has deep ties to big political names such as the longtime California consultant Averell (Ace) Smith, the Democratic strategist who has helped her orchestrate several campaigns in advance of her presidential run. Heather McGhee, the former president of the progressive advocacy group Demos, who has not signed onto a 2020 campaign, said she has been contacted personally by Ms. Harris and Senator Cory Booker of New Jersey — though she remains a close ally of Ms. Warren. Her counsel was particularly valued after Demos’s political arm published a much-lauded 2018 paper on how candidates should fuse analysis of race and class, a key focus of the progressive message. “To see the soul of the new Democratic Party, you can look to the candidate’s advisers and ask whether they came from activism or professional consultant class,” Ms. McGhee said, implying that more now come from grass-roots backgrounds and can inject the party with new ideas. One such idea was on display when Ms. Harris held a recent campaign rally in Nevada. 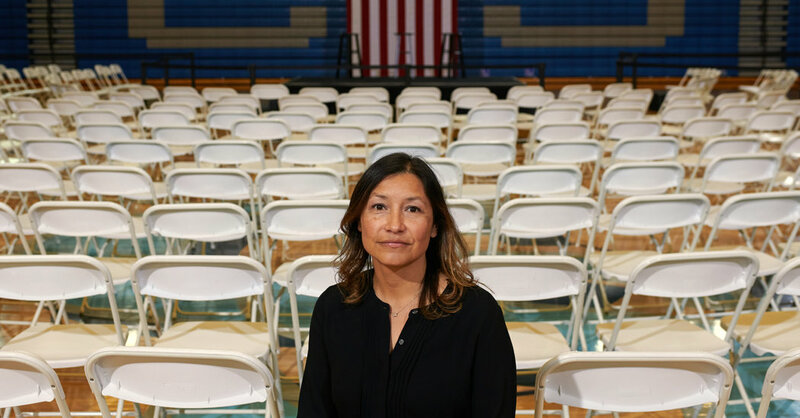 During the event, aides passed out headsets to Spanish-speaking residents so that the candidate’s words could be translated in real-time, a move widely praised as an effective way to reach new voters in the immigrant-rich West.